You must make reservations at least 5 minutes in advance of the time at Showcase Restaurant & Bar. The Showcase Restaurant is conveniently located along several public transit lines. Bus #19 runs along Pender, with stops at both Thurlow and Bute. Both Burrard and Waterfront skytrain stations are a short walk to the hotel, with the Sea Bus and West Coast Express servicing Waterfront Station. For our current Private Dining Room menu and to book the Private Dining Room please contact Showcase Restaurant & Bar directly at 604-639-4040. 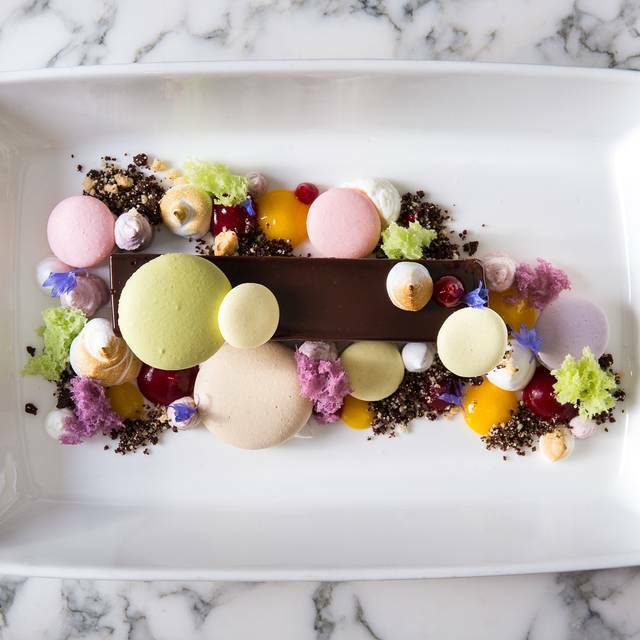 Showcase Restaurant & Bar is one of Vancouver’s top casual dining restaurants. 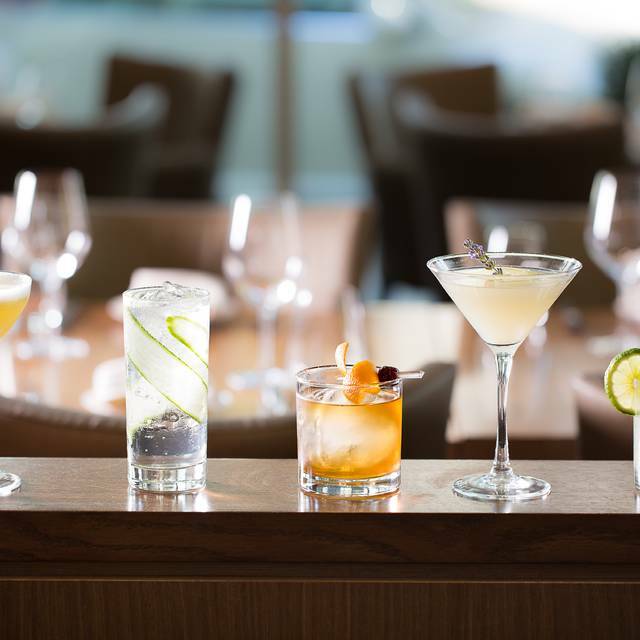 Located in the heart of Coal Harbour in the Vancouver Marriott Pinnacle Downtown, the Showcase menu is a reflection of Vancouver’s ethnicity with a diverse mix of flavours, influences and inspirations. 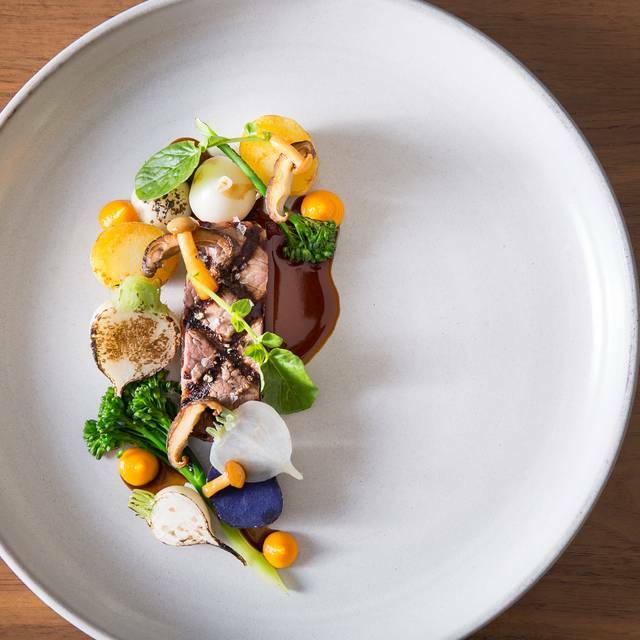 Exceptionally delicious West Coast cuisine, served with impeccable service in a sophisticated and welcoming environment – Showcase is the place that locals and guests feel at home while discovering something new. 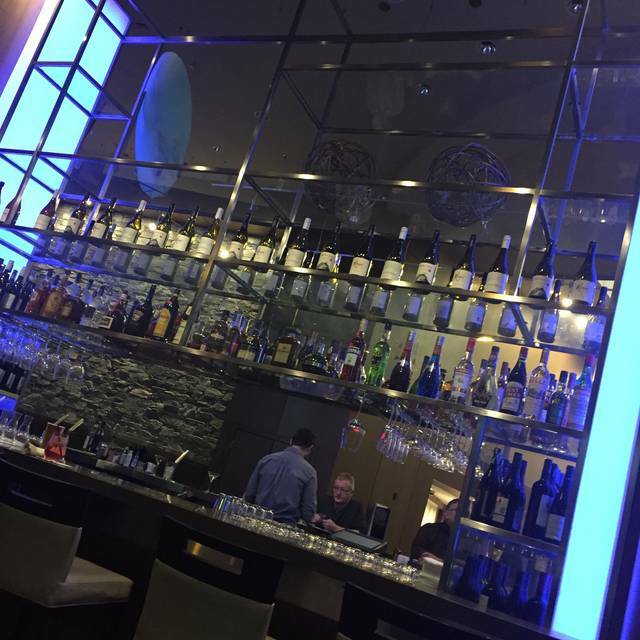 If you are just looking for a place to relax and visit with friends and colleagues, join us in Showcase Bar. Watch a game, relax and enjoy one of our local beers on tap or a glass of wine. 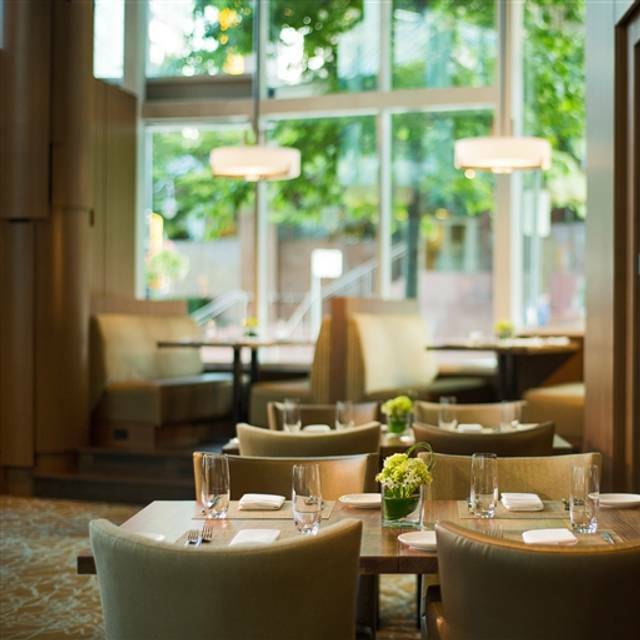 The best private dining space in Vancouver. Glass enclosed, this space is perfect for your next event.Our talented chef’s prepare seasonal menus from a two course business lunch to a 9 course tasting menu and wine tasting. *Gluten Sensitive. **Vegan Option Available. ^Ocean Wise recommended by the Vancouver Aquarium as an ocean-friendly seafood choice. 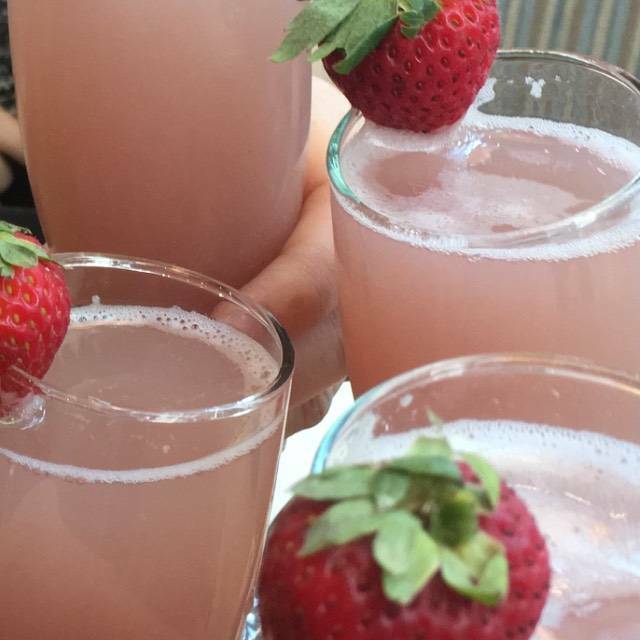 Celebrate Mother’s Day at Showcase's Brunch Buffet in the heart of Coal Harbour. Featuring brunch classics including Sweet & Savory Breakfast Favorites, Prime Rib Carvery, Crab Legs and more. 11:30-2:00pm, $70 per adult, $35 Children 5-10. Early Bird Seating from 9:30am-11:00am for $58. Join the Showcase team for a la carte Easter Brunch on Sunday April 21st from 10:30 am to 2:30 pm. Children can enjoy Easter Egg Cookie decorating in the loft from 11:30-1:30pm. This was our first visit to Showcase. Dwayne, our server, was top notch! Lunched with a close friend to celebrate a milestone birthday. We both had the Cobb salad which was excellent. Dwayne kindly brought us complementary dessert to enjoy with our coffees. He paid us just the right amount of attention - we never had to look for him for anything. Would recommend Showcase and Dwayne, in particular! My colleagues and I are regulars here for lunch and we always have a fantastic experience. Great menu and food is always served to perfection. Dwayne is the best server, we know we’ll always get excellent service when he’s our guy! great food, great service. definitely will go back. The food and presentation was fabulous. The staff was excellent. There when you needed them and not when you didn't. No hovering. Would recommend Showcase to everyone. Post wedding brunch with family. Great food and excellent service. This restaurant always got it right. Super professional and friendly engaging staff. Menu is always delicious and enough variety. Our waiter was super attentive and guest focussed. 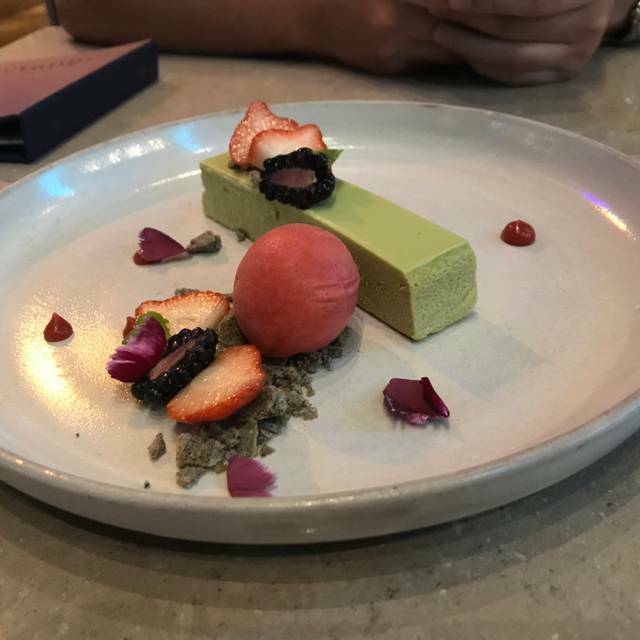 He welcomed my husband with ‘Happy Birthday Sir’ and gave him a complimentary birthday dessert. Babychair was already set up at our table. You have to visit this fantastic venue! The fish tacos are fabulous! And all of their food is very good. Thank you for the beautiful experience! Dwayne is the best. 15 years been coming here and he is amazing! The restaurant was freezing and I felt that the hostess did not address our concerns. We had reservations and we wanted a seat away from the door, her answer was those seats are for reservations? Then placed us near the doors again. The food was amazing, the server was awesome but that hostess put a damper to our otherwise amazing experience. It was a birthday and also dine out Vancouver. The Chef prepared a surprise complementary exquisite appetizer for our entire table. The restaurant manager, the chef and the waitress were all very attentive & made our evening special. Really like the bar area at P2B; not noisy so good for conversations, great personalized service with seasoned staff, and yummy happy hour choices. I’ve also booked this for business cocktail functions. The view overlooking the water and mountains is a lovely surprise, and there is a warm ambience that makes you forget you’re in a large hotel. Definitely recommended. Always consistent when I've been. Convenient location when downtown by convention center. Service and food is always good. We like it, as it has a kids menu for our young kids, and adult menu has variety. Great service! The server wore a warm smile the whole night. The food was scrumptious. Showcase is a great place to go to, be it for after work drinks and dinner with colleagues, meeting up with friends on a Friday night, or having a date night. There something on the menu for everyone, no matter what kind of food you are into and what your budget is. The food is always fresh, tasty and presented beautifully. Service is outstanding. I strongly recommend the place. Great food and amazing service! Great food from a great chef. The staff was friendly and made sure our party had a great time. The food was a little on the pricey side, but given the location, it is acceptable. 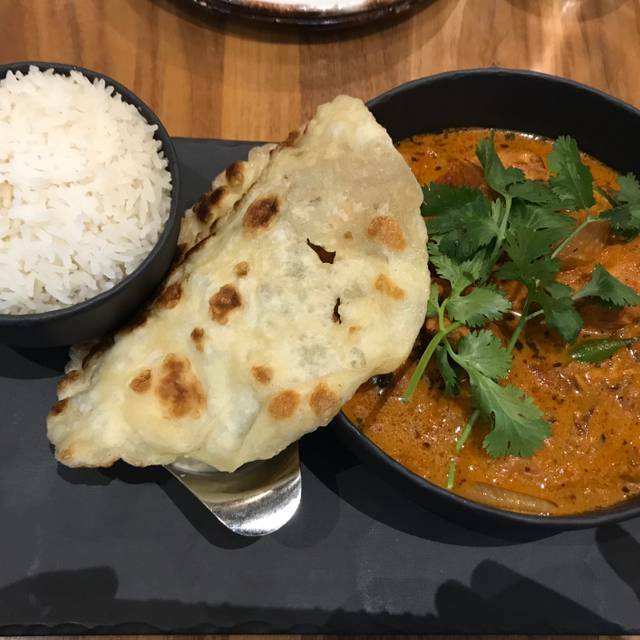 Loved the butter chicken curry! My friend had the Cobb salad which looked absolutely gorgeous! Good Restaurant for a Business lunch...I have only been here for lunch and would likely not go here for dinner unless I was actually staying in the hotel. Went for my mom's birthday. Food was good. The server was friendly and pleasant. She even prepared mom's dessert extra special for her birthday. It was a nice touch! Showcase is my go to place for a business lunch - consistently good food and service. Fantastic service and nice, comfortable restaurant. My husband and I went for a quiet dinner and it did not disappoint. We returned after a rather poor service experience on our last visit (a Valentines Day prix fixe menu) with a generous coupon provided by the Manager encouraging us to give them another chance. The service this time was outstanding - quite possibly one of the best service experiences we've ever had. The food was very good. We were celebrating a special birthday of a friend who is no longer with us. We opted to cheers the day to her with water but our Server ( I feel awful that I can’t recall her name! )was so sweet and brought us sparking pomegranate juice with a strawberry. It was so greatly app rotated and our friend would have approved the choice! The rest of our service was top notch and the food was fabulous as always! Food was good. Wasn’t that busy on fri evening. Staff were friendly. Only bad thing was by windows they tried to cover up air con coming from flr around every table by the windows but it was damn cold under the table on rainy day. My feet were frozen! Surprising find in the city. Great for our business lunch today. I had the Thai Noodle bowl, delicately spiced, and delicious. The Cobb salad with the Salmon looked picture perfect and beautifully presented. The restaurant was light and airy and the windows were great for people watching. Service was great, not rushed, but available. This is much more than a hotel restaurant, it could stand alone as a great restaurant in the city. I will be back. Great lunch, service and coastal vibe. Their pepper tomato soup is awesome! Great service staff. This is the 5th time we've been to the Showcase Restaurant and every time the serving and kitchen staff have done an outstanding job catering to our allergies. We are both allergic to Wheat and Dairy products which, for many restaurants create significant challenges. This is NOT the case at the Showcase Restaurant. The meals there have been outstanding in both taste and presentation and we look forward to returning once again. I'd be remiss if I didn't also compliment the serving staff. Every time we have had efficient, knowlegable and pleasant staff who have always made us feel welcome and no bother - despite our allergy issues. Very much enjoyed our meal. Even the design of the food was enchanting. Thank you. We had the halibut which was the slightest bit overdone, which would have been fine, however the dish was salty. Very nice service, thought it has more of a bar feeling than restaurant. Das Restaurant ist recht unpersönlich auf den ersten Blick, aber doch ansprechend. Das Essen war toll, es hat unsere Erwartungen übertroffen!